We receive loads of feedback from you all on how to improve IntenseDebate, and the majority of what we develop is based on your requests. I read and respond to all of your emails, and one piece of feedback I receive daily is that we all love trackbacks, but sometimes they can really get in the way of a solid debate when they’re mixed in with your comments. 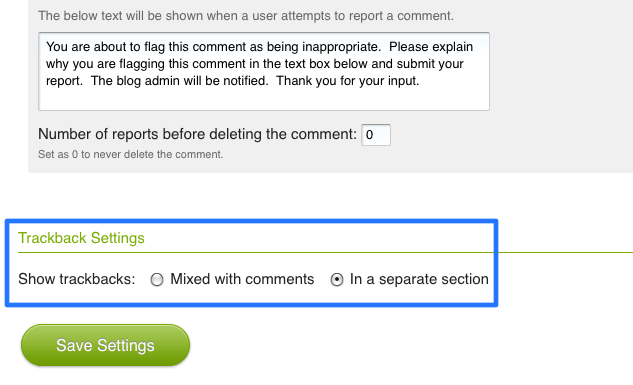 With that in mind, we’ve added a new layout option to separate trackbacks from the comments section. 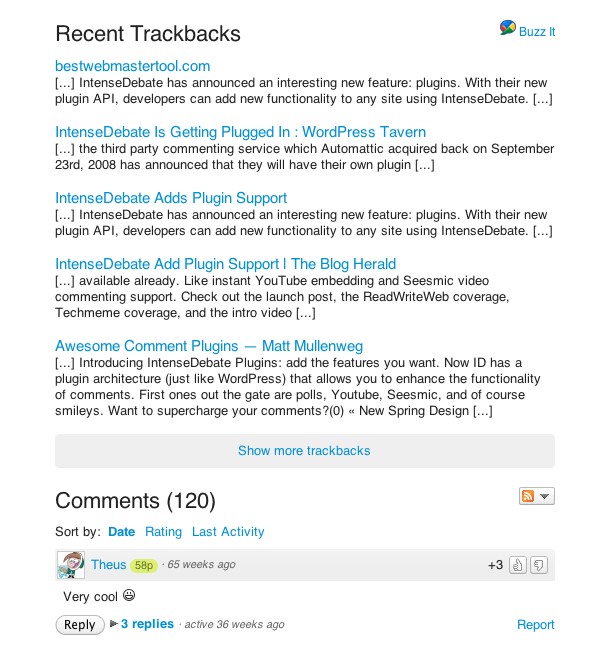 This new stylish option places your trackbacks above the comment section instead of having them mixed in. This option is available at the bottom of your Comments Settings page at http://intensedebate.com/edit-site-comments.